Ivanka Trump, President Donald Trump's eldest daughter and top White House adviser, had a "punk phase" in the 1990s, she revealed in her mother's new memoir, "Raising Trump." "One day after school, I dyed my hair blue. Mom wasn't a fan of this decision. She took one look at me and immediately went out to the nearest drugstore to buy a $10 box of Nice 'n Easy," she wrote, adding that her wardrobe consisted of "ripped corduroy jeans and flannel shirts." 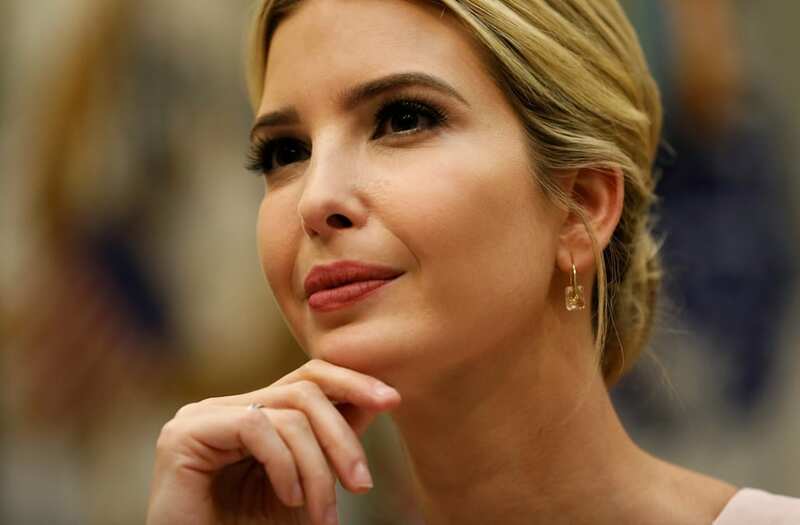 Ivanka said that the blonde hair dye her mother bought her was "three shades lighter" than her natural hair color and she "never looked back." But while Ivanka now sports blonde locks, she opted for blue hair at least once more, as documented in photos from the 2006 Metropolitan Museum of Art Costume Gala show. Ivana, Trump's first wife and the mother of his three eldest children, writes at length about her success raising her three children in a world of wealth and scandal. She recounts numerous stories of her disciplined approach to parenting, contrasting it with that of her friends' parenting style. "Over my dead body would Ivanka be like many of my friends' kids, going to discos and staying out until four a.m.," Ivana wrote. "My kids didn't have any money to blow on clubs, drugs, or car services."